Business Integrity Commission of New York City had a problem that could easily be solved by implementing our Barcode Tracking System, Traverse File Tracker, a fully audited barcode tracking system specifically designed to track physical documents. (BIC) issues licenses to operate as a business in the private carting industry, businesses operating in the City's public wholesale markets, the shipboard gambling industry, and the trade waste industry. BIC was formed in 2001 and gradually became the central agency for all such licenses and registrations. However it was discovered some time in 2009 that license requests were somehow being misplaced or lost. Daniel Cox, Director of Special Operations reached out to me asking about how a barcode tracking system could help. 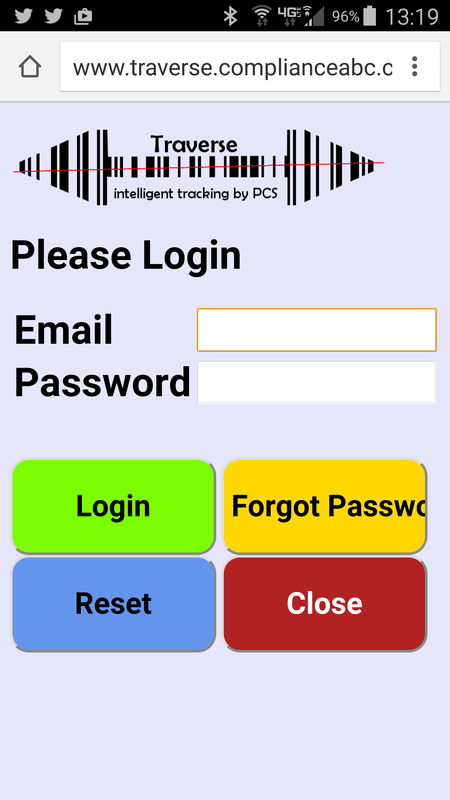 At that time I had built many barcode tracking systems but didn't have one ready to deliver for his purposes. I sent him a proposal, and in anticipation started building Traverse. As with all systems, they are only as good as the discipline to use them. Given that somehow license requests were missing, or "getting lost", there had to be a way to find out how they were getting lost. The proposed system would need to be fully audited. This was the most important requirement. The new system would also need the capability to assess accountability at every step of the way. Assuming that everyone in the department was honest, hardworking and wanted to do a good job, the system must be designed in a way to ferret out the flaws in the "then current ways of doing things", that allowed for such losses. 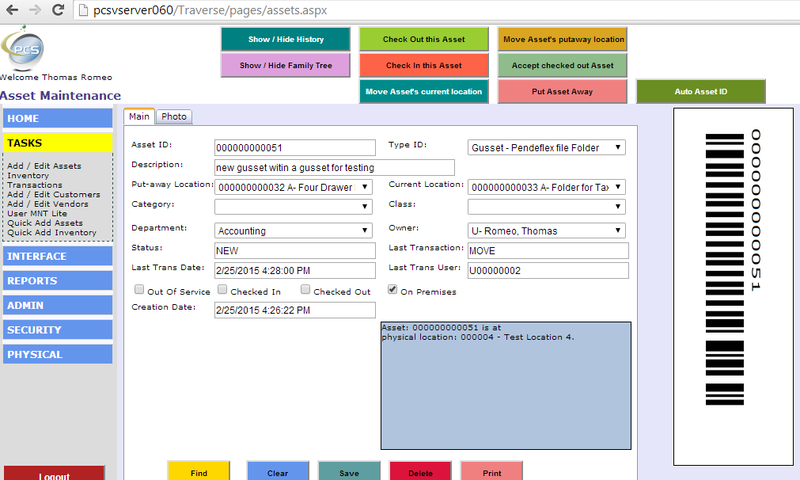 The audit trail of Traverse File Tracker is all encompassing. If a document to be tracked is created the creation is audited. Every change is audited including the act of deleting it. Audit records cannot be modified or removed. The system also uses a two phase commit. This means that if a document is created in the system to be tracked and it is assigned to a person for review, the person it is assigned to must accept it. If it is not accepted by the recipient, then the person issuing it is still responsible. This provides motivation for the issuing person to confirm handoff. 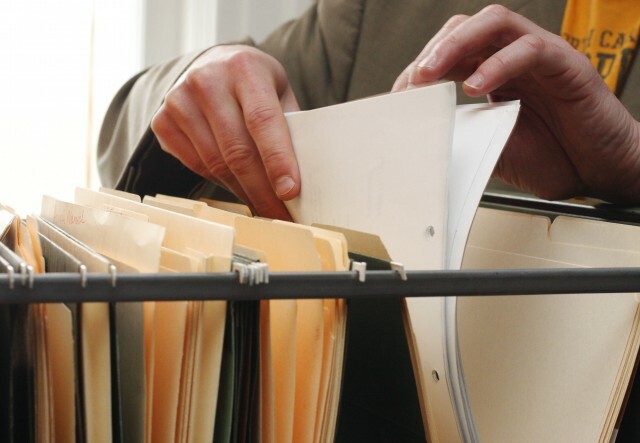 All places that contain the documents as in storage, like a file room, must audit access in and out of the room. All documents leaving the room must be checked out to the person removing them. Essentially the file room must be treated like an evidence room. 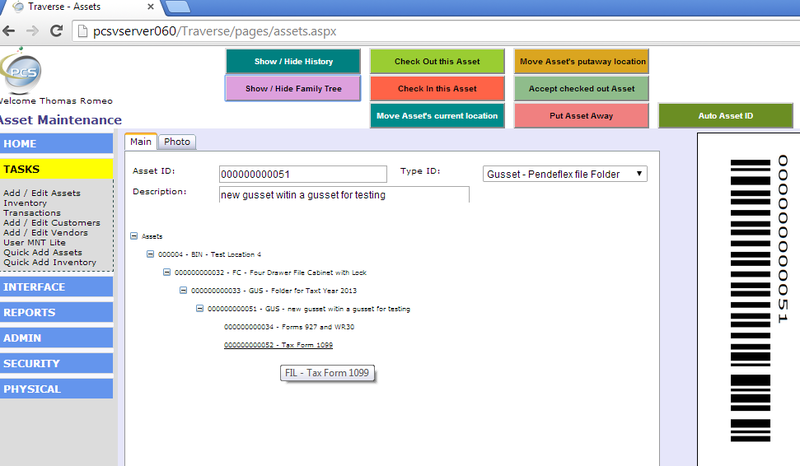 Traverse Document Tracker now exists and can be downloaded, installed, and issued a trial license for free from this web site. How many requests for something are enough to make you decide to build it? We created Traverse Document Tracker because we saw firsthand inferior products sold for this purpose and because we received many requests for a better solution. Given our opportunity to analyze the shortcomings of other products and the detailed requests by potential customers, we built the proverbial better mouse trap. Traverse File Tracker was born of a need for companies to know precisely where any and all documents are, where they belong, who currently has them, who had them last, and where they've been. It doesn't matter if you are tracking legal portfolios, tax documents, physical medical records, licenses, applications for permits, student portfolios, human resources folios, etc. 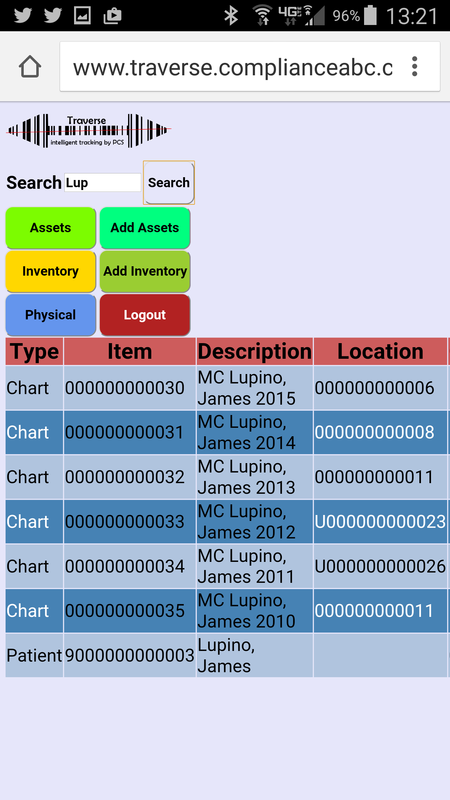 If a file folder or multiple file folders exist for a given person, customer, vendor, employee, client, or patient, that folder can be bar-coded and tracked using Traverse Document Tracker. What makes Traverse File Tracker superior? Besides being a true multiuser application that is browser based, it is responsive, easy to use, compatible with all browsers, has screens specifically designed for all phones and tablets, can be hosted in the cloud or installed at the customer's site, is completely audited, it is a complete integrated system that actually adjusts to the data it stores to maintain its responsiveness. Net: two years, ten years down the line, no matter how much data you add, it will be as responsive as it was on day one. There are many technical reasons that make Traverse File Tracker a superior system and we'll happily have that discussion with anyone that is so inclined, but for those of you that need a way to track all of your documents within your organization; know that Traverse File Tracker can help whether you are tracking 100 documents or millions or documents. 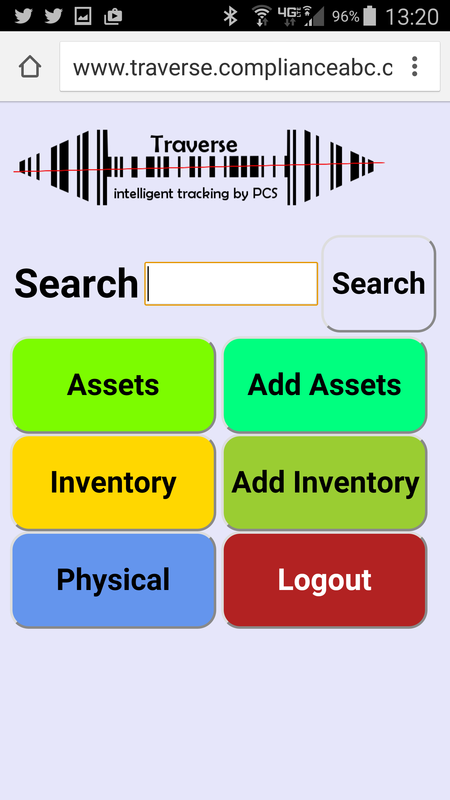 Traverse Barcode File Tracker is a file locator system. Here are a few screenshots we put together illustrating the power of Traverse and its ease of use. This item is a gusset. In this example you can see it is a pendeflex folder that can contain multiple manila folders. The system is browser based so it can be accessed anywhere from within your company. All you need is a browser and a login. You can access it from your PC, Laptop, tablet, or phone. We created special HTML5 screens specific for nonstandard device sizes. In so doing, Traverse looks good and is useable on your phone or tablet. You install it at your company on your own hardware so it is available to you 24x7 and so that all of the data is private. It can only be accessed by those who can access your company network. 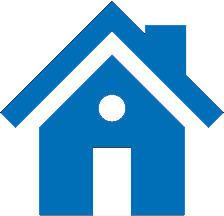 You can install it yourself with the aid of our installation guide and instructional video, or we can install it for you either in person or via a screen share session. Click this link to download the Traverse installation guide. You can connect it to an existing SQL Server or use the Traverse installer to install SQL Express. You can also use SSL (Secure Sockets Layer) for added security. If you have ever noticed when you go to your bank's web site the URL is HTTPS instead of HTTP, the "S" is for secure and uses SSL. When SSL is used, the data transmission between your browser and the Web Server is encrypted. We are also sensitive to your budget and have priced the software, training, and support in a very common sense manner. Why Traverse? What's in the name? We used to joke about how everything is a warehouse. You put stuff in, move it around, and then eventually move it out. Hospitals are warehouses, people come in, move from room to room and then leave. Schools are warehouses, kids come in, move from class to class and then go home, and you get the idea. A document tracking system is essentially the same, documents enter the system, traverse the office or facility until they end up in their resting destination for a time and then perhaps traverse the office again. Having enjoyed Rock Climbing for a time, one of our warm up activities was to traverse the lower wall. When talking about data structures, a common element is a tree and you could write an algorithm to traverse that tree. Traverse has been a word in my vernacular for quite a while and just seemed to fit as a one word description of our tracking system, it’s a name that is a verb, a call to action. And we will traverse your office to find your documents.